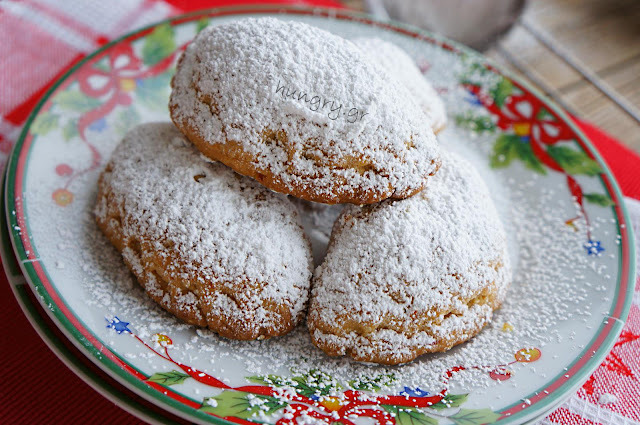 So aromatic, so tasty and with minimal effort, a perfect taste! 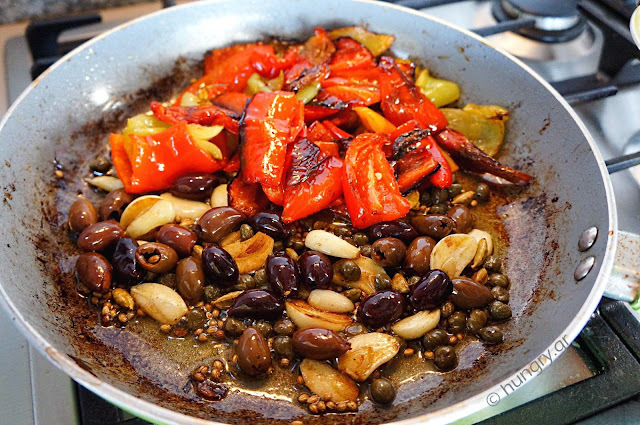 Colored peppers, lots of garlic, olives, capers, coriander, cardamom and natural vinegar. Strong vinegar good wine that will give the final "touch" the takeoff of their flavor. That's all! Following? 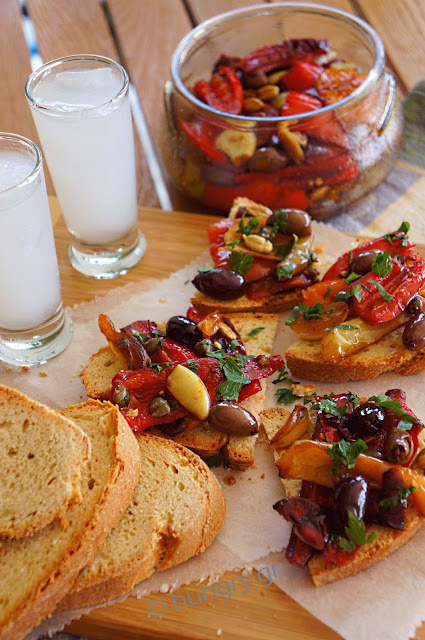 After the spread to fresh bread and our glasses full of ouzo and enjoy a super appetizer. 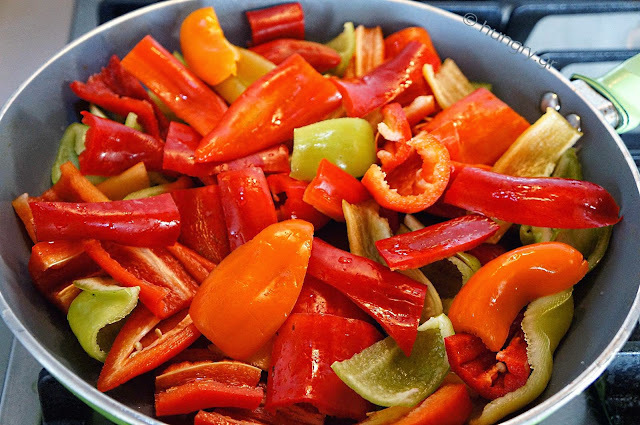 Wash and remove the stem and seeds from the peppers. Cut into thick strips along. 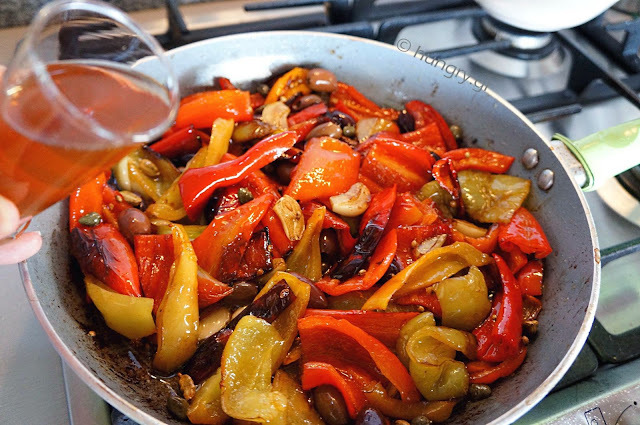 In a large frying pan and on medium heat pour about half of the olive oil and add the peppers to fry without being overcooked or burned. Stir regularly. If the pan is small fry few at a time. When the peppers are ready you put it on a plate and set aside for a while. 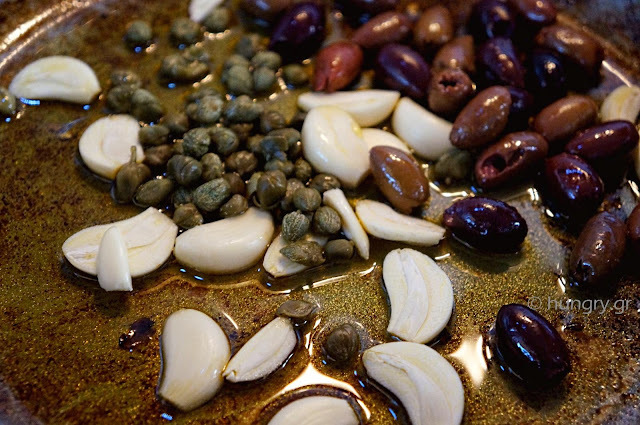 In the same pan, add the remaining olive oil, olives, capers and garlic cloves peeled & cut in two along. Gradually add in the pan the coriander and cardamom. Fry briefly until the garlic gets brown. 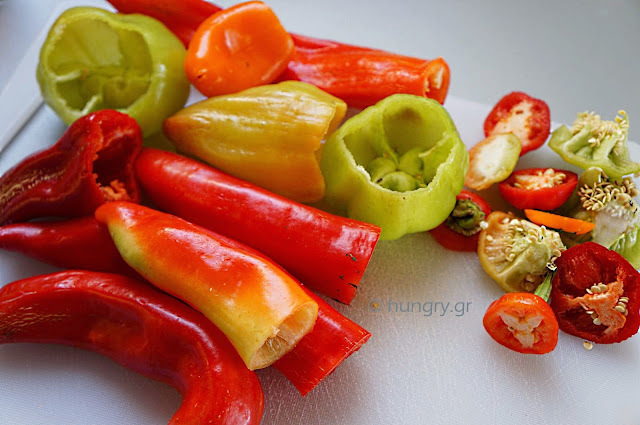 After a while add the already fried peppers mixed with the other ingredients and flavored by spices. Finally add the vinegar, stir well and let it fry for a few more minutes. Accompany meat, fish, pasta, pizzas etc. 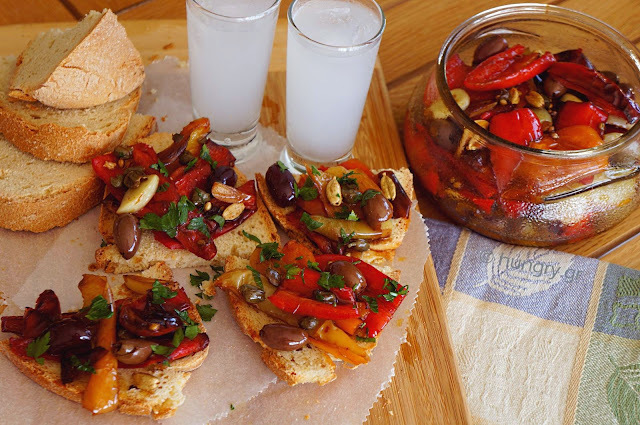 But the absolute taste proposal is to add the fried peppers, sprinkled with chopped parsley, on a slice of bread and to enjoy the company of ouzo or raki. If left over fried peppers or make a lot, keep for some time in sterile jar, like the pickles. Dried tomatoes in the oven. 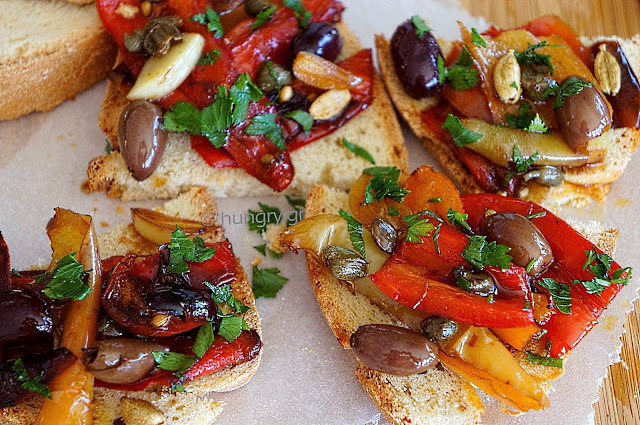 A very easy and quick recipe, with endless possibilities to liven and spice every meal. 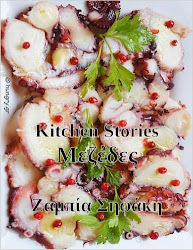 Add them in sandwiches, in sauces for pasta, in salads, savory cakes and of course as a spread for crostini or anything else you can think of. 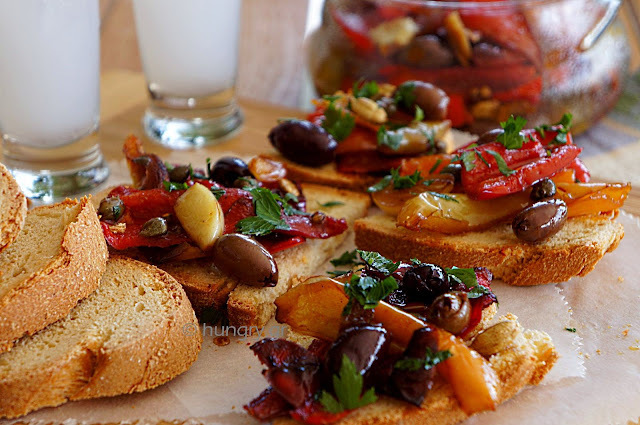 Since they are often referred for home sufficiency or domestic luxury, lets make homemade dried tomatoes. I guarantee that they have nothing to do with those you tried from the S.M. Peel sweet watermelon in spicy pickle! It's very simple to do, using the peel of watermelon, which we throw. 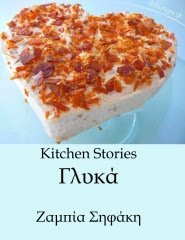 Is very special sweet and spicy at the same time because of the spices with a little bite of chili pepper in the aftertaste. If you are interested in new dimensions in taste, dare even for a small amount, for testing! 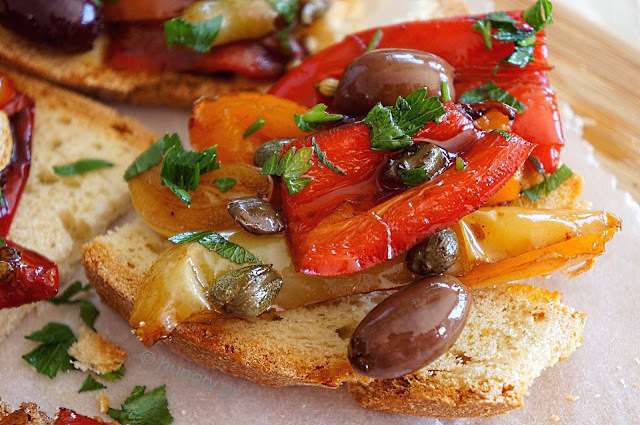 The most delicious olives that we have ever tasted. 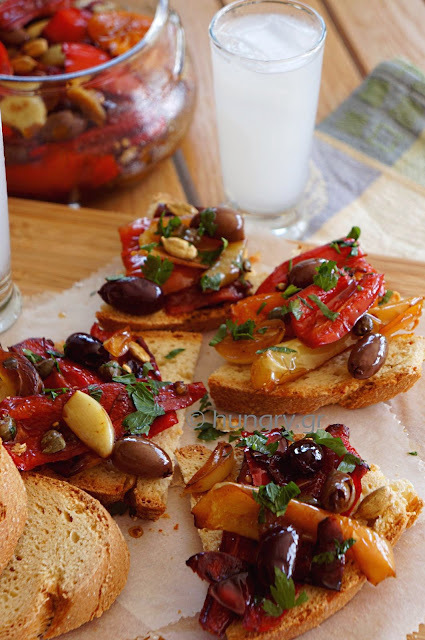 The reason is very simple, it is the homemade olives we have built ourselves, with our hands, very easily. 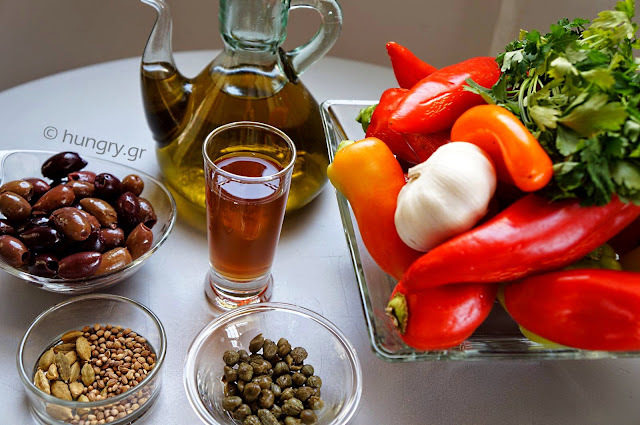 With simple procedures starting from the selection of olives -best if we have our own- even after the scribe, we add the oil, vinegar, herbs and orange slices. Do not miss, giving them the ethereal aroma. In a few days they are ready to enjoy. This is all, a little bit to domestic self-sufficiency!